A beautiful 14ct Strawberry Gold wedding band from luxury jewellers Le Vian. 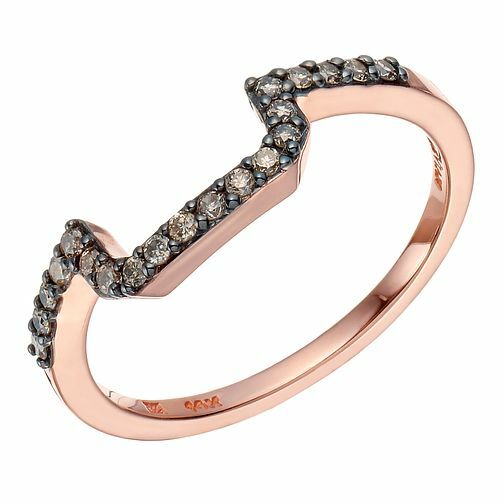 Embellished with radiant Chocolate Diamonds, this elegant band is shaped to perfectly fit with its stunning Le Vian engagement counterpart. Matching Engagement Ring: 2281023. Le Vian 14ct Strawberry Gold Chocolate Diamond band is rated 5.0 out of 5 by 2. Rated 5 out of 5 by Anonymous from Perfect match to my ring Beautiful strawberry gold and stunning chocolate diamonds. Bought as a wedding ring to match my engagement ring by levian. Rated 5 out of 5 by Anonymous from Stunning My wedding ring and i love it, makes the set look amazing.